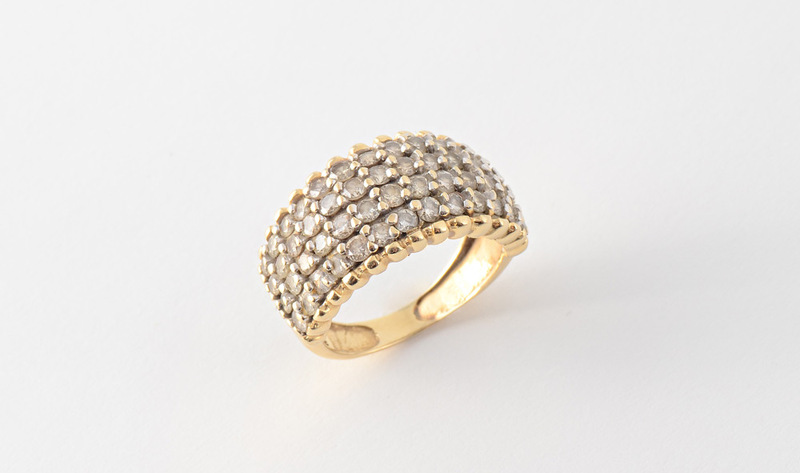 LIGHT BROWN DIAMOND RING: 14K yellow gold ring with 4 rows of top light brown diamonds totaling approx. 2.50 Ct. Size 6.5. Weight 6 grams. 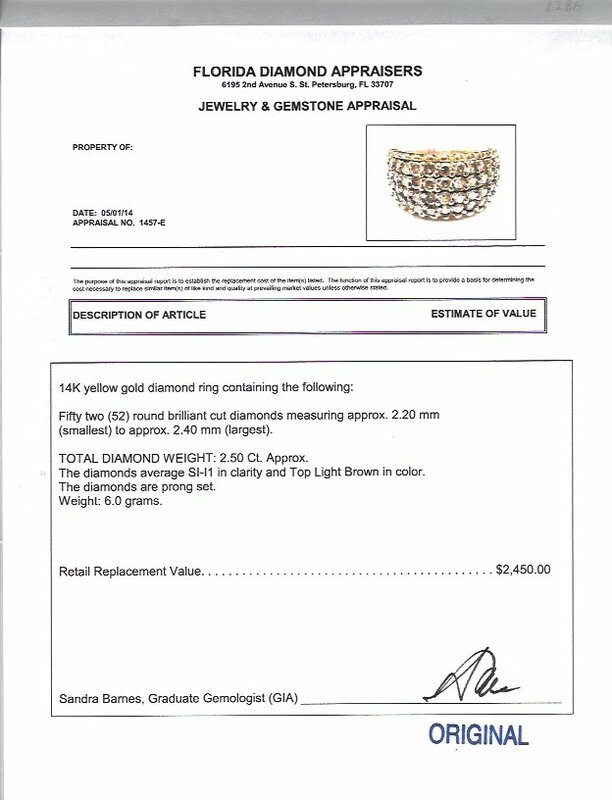 Sold with current Florida Diamond Appraisers GIA graduates appraisal for 2,450.